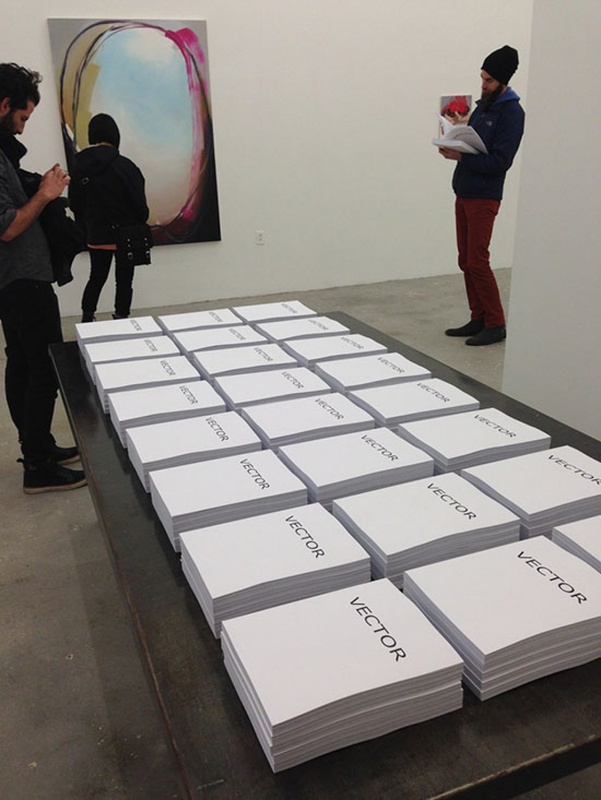 VECTOR is a literary exhibition in the form of a journal that publishes a collection of essays by contemporary artists. Each edition compiles a collection of written works by 25-30 emerging and established artists for print and online. The form, length, and theme is up to each artist. Essays range from 1-10 pages, are printed in black& white, unedited, and arranged in alphabetical order. 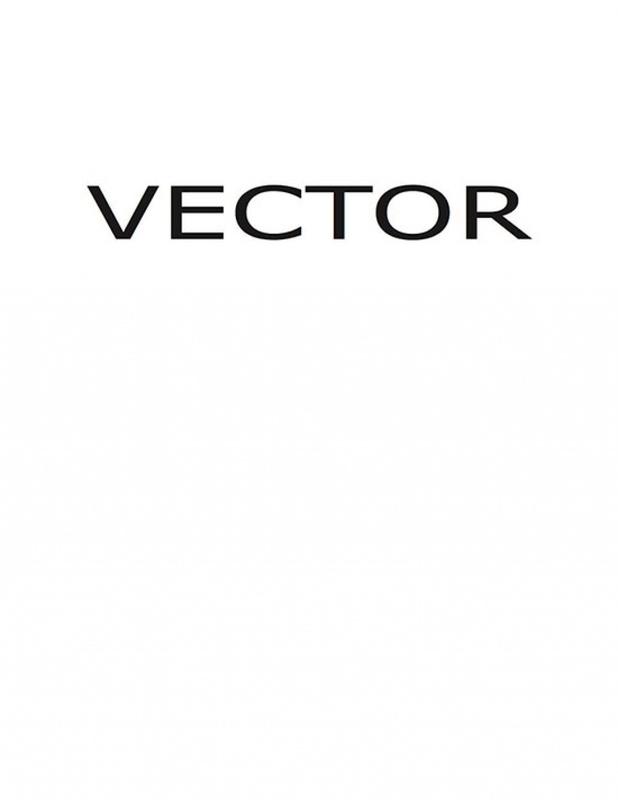 Each issue is available to download on the VECTOR web site: www.vector.bz. Bound copies are printed in limited editions and are handed out for free at an opening reception for each issue. 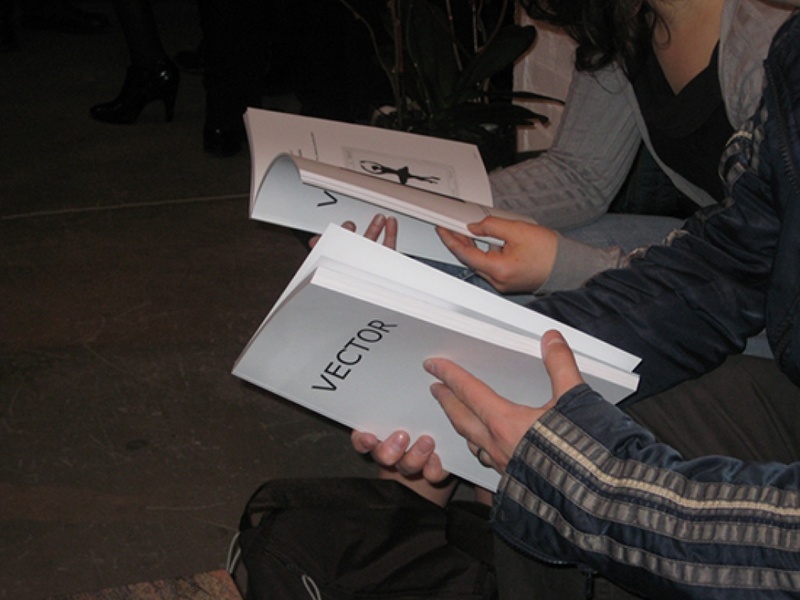 VECTOR is a project by artists Peter Gregorio and Javier Barrios. The entire company is to be defined as an Art-Project. It's propose is to spread the ideas and work of visual artists around the world. We believe passionately that the power of the Artists Vision is a driving force in the evolution of attitudes, ideas, and culture; which must be enhanced to challenge and inspire the world. Our mission is to build a database of knowledge; online, in publication, through events, exhibitions, and lectures.